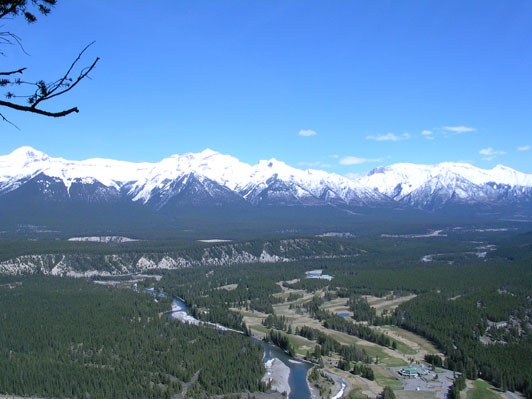 Alberta-Travel.com - 2.3 km one way, elevation gain 260 m, 2 hours round trip. 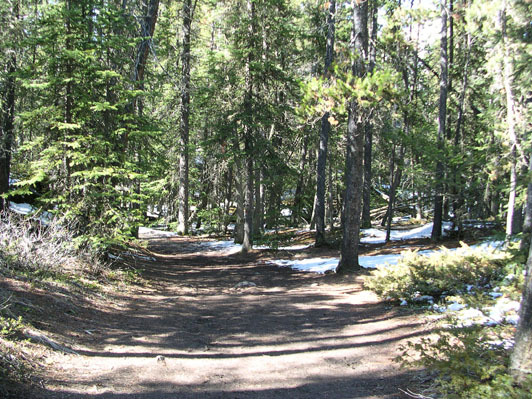 Trailhead: Follow Wolf St. east to St. Julien Road. 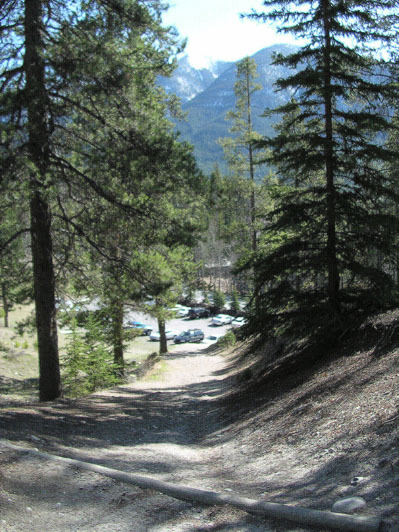 Follow St. Julien uphill to the parking lot on the left, 0.3 km from the Wolf St. junction. 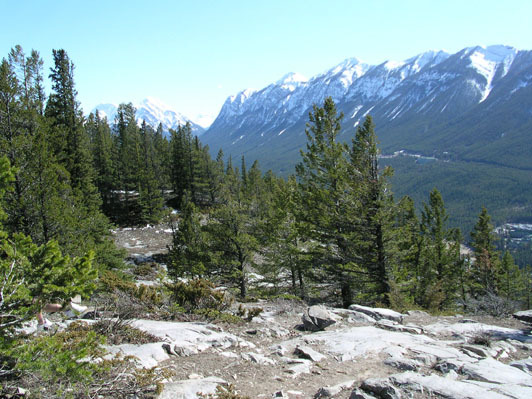 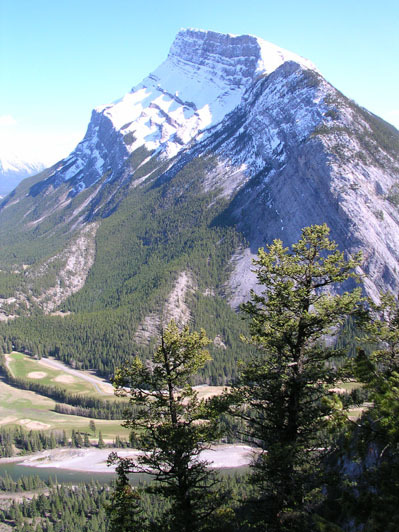 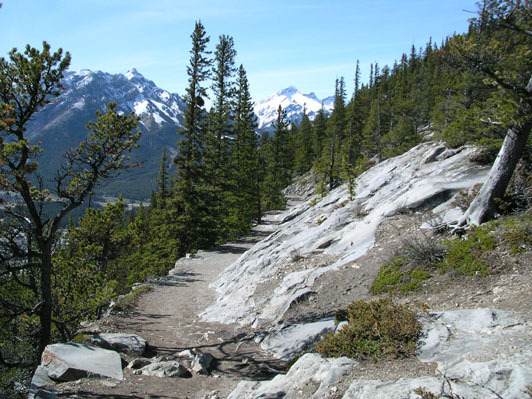 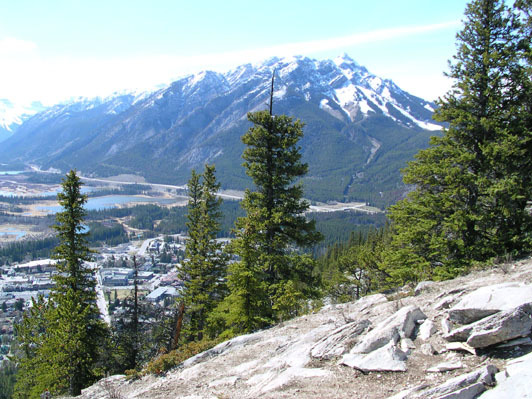 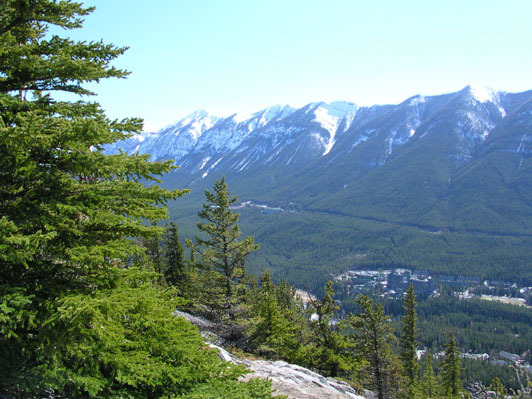 CanadianRockies.net - Any reasonably fit person can climb at least one mountain in the Rockies by hiking this well-maintained trail. 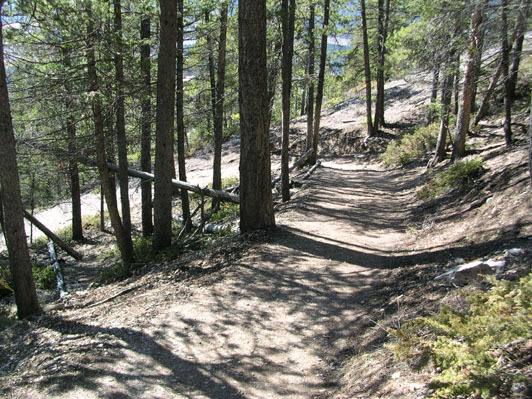 Bicycling this trail is not allowed. 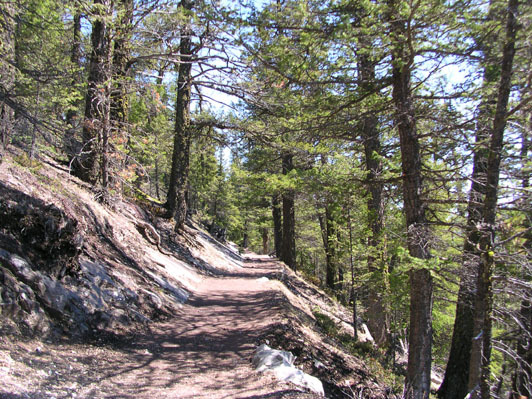 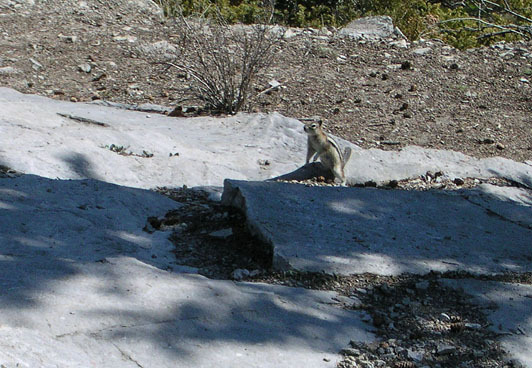 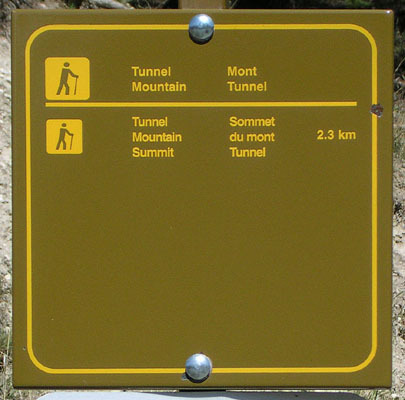 From the hiking sign on St. Julien Road, this trail climbs steadily, crosses Tunnel Mountain Drive and switch-backs to the summit in 2.3 km. 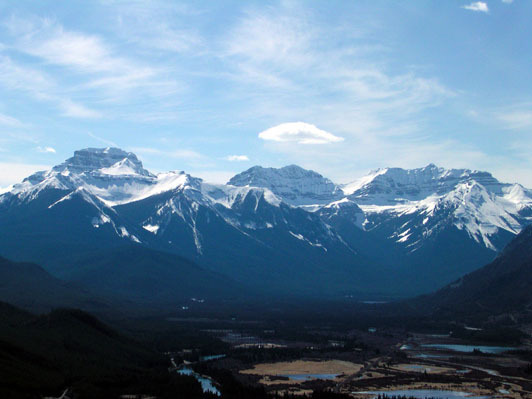 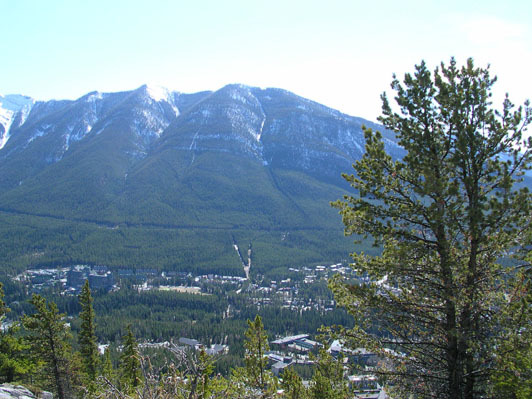 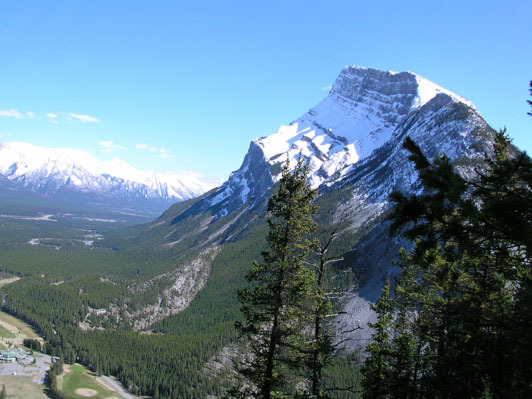 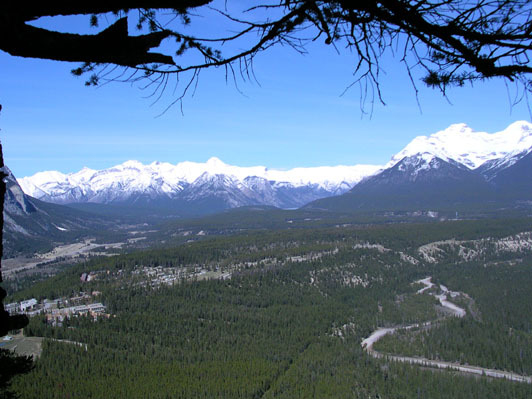 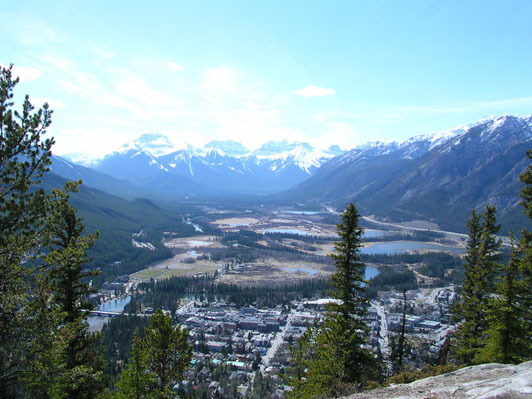 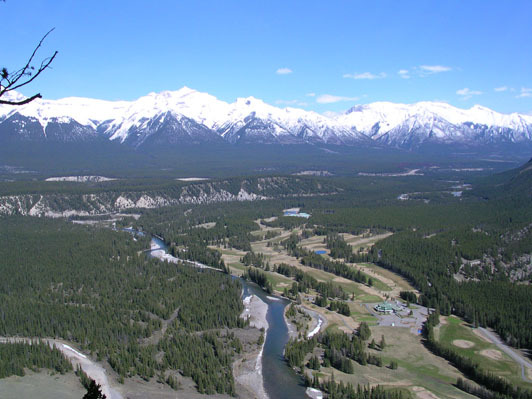 At 300 m above Banff Avenue you get unobstructed views of the entire town, the golf course, Vermilion Lakes and the surrounding peaks including Mount Rundle. 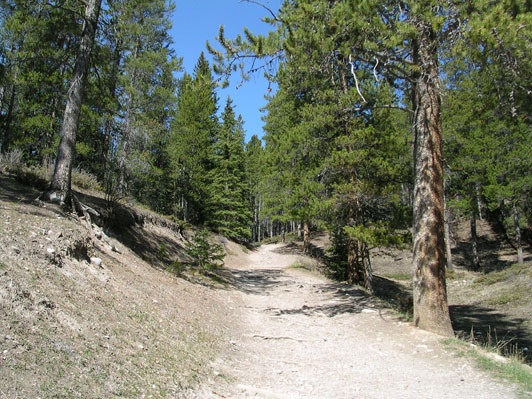 Deer are frequently seen from this trail.